Do policymakers in Washington and Europe ever feel ashamed of their scandalous double standards? Before and since the Palestinian elections in January, they have continually insisted that Hamas comply with certain demands. They want us to recognise Israel, call off our resistance, and commit ourselves to whatever deals Israel and the Palestinian leadership reached in the past. But we have not heard a single demand of the Israeli parties that took part in this week's elections, though some advocate the complete removal of the Palestinians from their lands. Even Ehud Olmert's Kadima party, whose Likud forebears frustrated every effort by the PLO to negotiate a peace settlement, campaigned on a programme that defies UN security council resolutions. His unilateralism is a violation of international law. Nevertheless no one, not even the Quartet - whose proposals for a settlement he continues to disregard, as his predecessor Ariel Sharon did - has dared ask anything of him. Olmert's unilateralism is a recipe for conflict. It is a plan to impose a permanent situation in which the Palestinians end up with a homeland cut into pieces made inaccessible because of massive Jewish settlements built in contravention of international law on land seized illegally from the Palestinians. 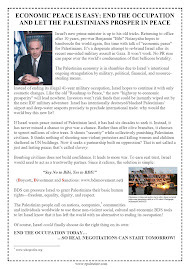 No plan will ever work without a guarantee, in exchange for an end to hostilities by both sides, of a total Israeli withdrawal from all the land occupied in 1967, including East Jerusalem; the release of all our prisoners; the removal of all settlers from all settlements; and recognition of the right of all refugees to return. 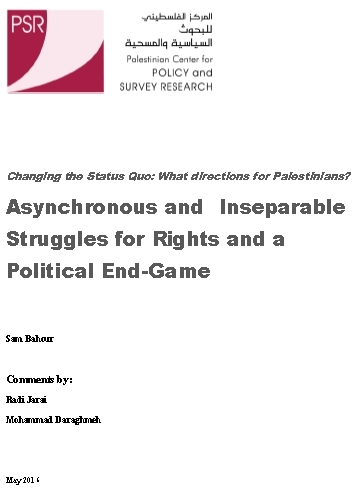 On this, all Palestinian factions and people agree, including the PLO, whose revival is essential so that it can resume its role in speaking for the Palestinians and presenting their case to the world. 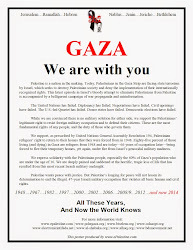 The problem is not with any particular Palestinian group but with the denial of our basic rights by Israel. We in Hamas are for peace and want to put an end to bloodshed. We have been observing a unilateral truce for more than a year without reciprocity from the Israeli side. The message from Hamas and the Palestinian Authority to the world powers is this: talk to us no more about recognising Israel's "right to exist" or ending resistance until you obtain a commitment from the Israelis to withdraw from our land and recognise our rights. Little will change for the Palestinians under Olmert's plan. Our land will still be occupied and our people enslaved and oppressed by the occupying power. So we will remain committed to our struggle to get back our lands and our freedom. Peaceful means will do if the world is willing to engage in a constructive and fair process in which we and the Israelis are treated as equals. We are sick and tired of the west's racist approach to the conflict, in which the Palestinians are regarded as inferior. Though we are the victims, we offer our hands in peace, but only a peace that is based on justice. However, if the Israelis continue to attack and kill our people and destroy their homes, impose sanctions, collectively punish us, and imprison men and women for exercising the right to self-defence, we have every right to respond with all available means. Hamas has been freely elected. Our people have given us their confidence and we pledge to defend their rights and do our best to run their affairs through good governance. If we are boycotted in spite of this democratic choice - as we have been by the US and some of its allies - we will persist, and our friends have pledged to fill the gap. We have confidence in the peoples of the world, record numbers of whom identify with our struggle. This is a good time for peace-making - if the world wants peace. On 18 March 2006, I visited a grieving family in Al Yamun, a town in the northern West Bank. Their 7-year old daughter had been murdered the night previously by Israeli Border Police, who had entered the town to arrest “wanted” Palestinian militants in a raid led by Israeli Defence Forces (IDF). Her name was Akaber Adbelrahman Zaid and she was on her way to a doctor’s clinic to have stitches removed from her chin. Instead she received a barrage of bullets to the head, when an undercover Border Police unit opened fire on the car in which she was travelling with her uncle. An IDF spokesperson said the police had thought that the wanted militants were trying to escape in the car and thus fired shots at the wheels as a deterrent. Akaber’s uncle said it was obvious that the only people in the car were himself and a small child, adding that the policemen had fired at close range. A Ha’aretz reporter inspected the car afterwards and found that all four tyres were still intact. For a specially trained unit of sharpshooters to fire at the wheels of a vehicle from a short distance and miss their target completely seems a little dubious, to say the least. Akaber joins the ranks of over 700 other Palestinian children to be killed by Israeli security forces since September 2000. Who will take responsibility for her death? Who shall be held accountable? The IDF has acknowledged that in shooting at the car, the policemen involved broke the rules of engagement. I am eager to know what the penalty for breaking the rules of engagement is. I am also eager to know what the penalty for murdering Akaber will be; if there will be any at all. The army’s response so far has been the following euphemistic statement: "the IDF regrets harming the Palestinian girl and is conducting a comprehensive examination of the circumstances of the event." We will see. Unfortunately, cases like Akaber’s are a dime a dozen. 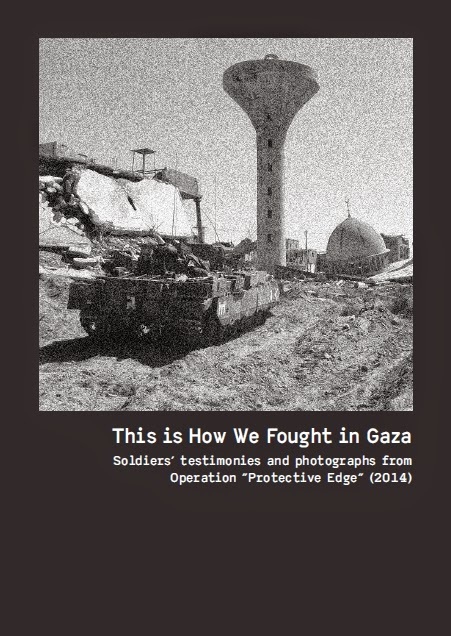 It is widely documented that the IDF often break the rules of engagement when on incursions into the Occupied Territories and enjoy complete impunity for almost all violations committed when on duty, including the killing of children. 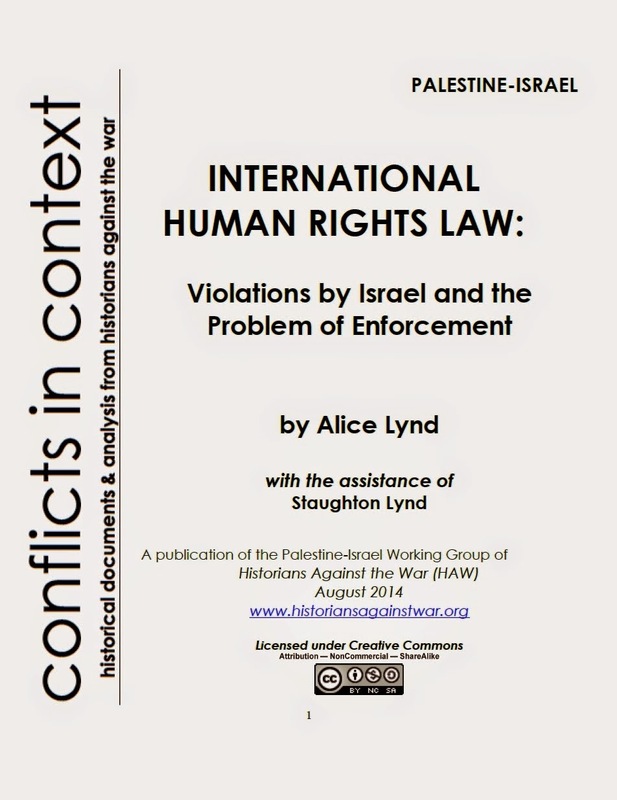 This impunity overarches both possible legal means of redress for victims, as Israel not only consistently fails to criminally investigate the misdemeanours of IDF officers; it also protects itself institutionally regarding state liability in civil action cases, through its carefully formulated Civil Torts (State Liability) Law, 5712 –1952. A recent amendment to this law makes it virtually impossible for Palestinians who have sustained damages at the hands of a state agent (e.g. 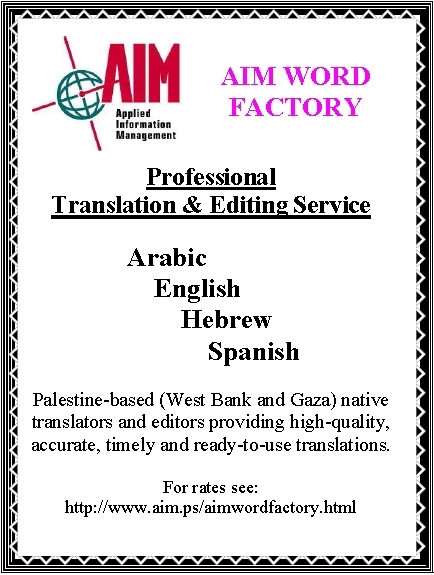 Israeli security forces) in any area of the West Bank or Gaza Strip to make a claim for compensation. The amendment applies retroactively to injuries sustained after 29 September 2000, and even to claims already submitted to the courts, but not yet processed. These measures violate Israel’s commitments under international human rights law to provide an effective remedy to victims of human rights abuses. On the criminal level, some attempts have been made to put IDF officers on trial in the past, but not only do most of these fail; the verdict usually serves up a further slap in the face for the victim too. Just five days after Akaber’s murder, Ha’aretz reported that Captain “R”, a Givati Brigade soldier in the IDF, would be awarded 80,000 NIS in compensation from the State of Israel, after being acquitted of a five-count indictment against him related to the killing of Iman Al Hems, a 13-year old Gaza schoolgirl. Iman had been shot by the IDF in October 2004, when she came in the vicinity of their outpost. Captain R had then approached Iman, who was already lying injured on the ground and had shot her at point blank range. Transcripts of radio exchange between the soldiers during the incident revealed that Captain R stated he did this, “to confirm the kill”. Contradicting himself in court, Captain R said he opened fire, not directly aiming at Iman, in order to create deterrence, and that he believed that the young girl posed a serious threat. How mentally disturbed and/or cowardly must an Israeli captain be to feel scared of an unarmed 13-year old schoolgirl, who was already lying wounded and helpless on the ground? Ludicrously, the judges believed his version of events. This is the way it works here, folks: Captain R was acquitted and then rewarded with compensation and a promotion to major while Iman’s family were rewarded with another helping of gross injustice to add to the first injustice of losing their child. According to the Israeli judge advocate general’s office, only 131 criminal investigations into the unlawful killing and injury of Palestinians by Israeli security forces were opened from September 2000 to June 2005, leading to just 28 indictments and a mere seven convictions. Yet, Israeli human rights group B’Tselem documented the killings of at least 1,722 Palestinians, outside any combat situation, by Israeli soldiers during the same period. According to the Palestinian section of Defence for Children International, more than one-third of those killed were children. These figures revealing Israel’s sweeping practice of impunity leaves me more and more in utter disbelief. It is the kind of disbelief that catapults you into a state of shock. The sheer fact that the Israeli military are getting away with killing hundreds and hundreds of innocent children, without paying any consequences whatsoever, is so outrageous, so unbelievable, that it paralyses you. It renders you helpless, unable to react, unable to focus on what actions to take to remedy the situation. After a while of dealing with this every day, I run the risk of becoming totally numb and, as a result, increasingly unfazed by each new incident, like so many “guest” bystanders before me. On the outside, this could seem like resignation. And it often is. Israel feeds on this. And even the outside world becomes immune; you, the reader, become immune - your threshold for passively accepting atrocity becomes higher. It is to be expected – we all need to protect ourselves from such horrors of daily life in order to survive. The skin gets thicker. But let us not fool ourselves in thinking we cannot do anything to influence the situation. Our indifference is already influencing the situation. Our indifference is an essential part of the equation that keeps the ongoing impunity in place: it is indifference which allows child killings to continue unhindered. It is the same indifference which breeds state terrorism, and as a response, other forms of terrorism. I am horrified as are many others that this can go on unchallenged. Of course, there are civil society organisations which are committed to challenging Israel’s impunity. They use all the mechanisms available to them to denounce Israel’s practices and to demand accountability and reparation for the victims. Expressions of grave concern and urgent calls to action are issued on almost a daily basis. Research is conducted, reports published and resources made available, yet all these efforts become symbolic in the face of the inertia of the international community. It seems paradoxical: the EU and the UN provide mechanisms and tools through which and with which civil society can supposedly harness the political and economical clout of intergovernmental organisations to remedy cases of violations of human rights by a state. Yet the EU and UN have consistently failed to use their political leverage to stop Israel’s barbaric policies and practices against Palestinians. Is not one of the principal roles of intergovernmental organisations to protect civilians from mass human rights violations perpetrated by a state? The UN Charter clearly states that the “United Nations shall promote universal respect for, and observance of, human rights and fundamental freedoms " and that “all Members pledge themselves to take joint and separate action in co-operation with the Organization to achieve this” . If Israel, as a member state, does not uphold the Charter, then why is there no effective pressure from the UN to make Israel abide by the principles of membership? The EU-Israel Association Agreement, which regulates political and economic cooperation between the two parties, stipulates respect for human rights and democratic principles as an essential element of the agreement. Israel obviously does not observe human rights and democracy in its treatment of the nation it illegally occupies, so why does the EU not follow up this incongruence? The failure of the UN and the EU to use their capacity to hold Israel accountable for its actions is tantamount to actively contributing to the perpetuation of Israel’s de facto and de jure impunity. This depressing fact leads me to search for the motives for their inaction. Is it fear? Perhaps the EU and the UN feel threatened by Israel as Captain R felt threatened by Iman Al Hems or as 30 undercover Israeli agents felt threatened by 7-year old Akaber. Are they afraid that by openly criticising Israel the whole geopolitical balance will crumble? Are they afraid that the US would really be in the position to ostracise everyone willing to respond to civil society’s pleas for political intervention on behalf of Palestinian civilians? Are they so afraid of being labelled anti-Semitic that they cannot bring themselves to go further than meekly denounce blatant violations of human rights? Yet how can their fear override their humanity? From where Palestinian children are sitting, it seems that even the bloodiest and most horrifying massacre is not enough to mobilise these supranational powers into action. Leigh Brady, from Ireland, has been living in the West Bank since May 2005. She works for the Palestinian Section of the international child rights organisation, Defence for Children International (www.dci-pal.org ). There has been no press release issued in English by the IDF so far on this issue. This quote has been taken from the article referenced above. [ePalestine] Staughton Lynd: AM I AN ANTI-SEMITE? I attended a private high school in New York City during World War II. I was one of a very few students who were not Jewish. One of my closest friends was Daniel Lourie, son of Arthur Lourie, who prior to the creation of the State of Israel represented the "Jewish entity" in the United States. One weekend Danny took me to a farm in Cream Ridge, New Jersey, where a group of young people were preparing to make "aliyah" by settling on khibbutzes in Palestine. Sunday morning found me hoeing in the garden with another man. He had a weather-beaten face: probably about 30, he seemed to me (I was 14 or 15) very old. In my youthful idealism I said to him, "What's with this Zionism? What happened to socialist internationalism?" My companion put down his hoe and turned to me. He said, "We've done enough dying on other people's barricades." When I graduated from high school, I considered the emerging Israeli society in Palestine the very model of decentralized socialism. I defended it passionately to all comers. Then, one day at Harvard, I fell into conversation with a man whom I remember only as Jimmy. I believe he had spent time at the American University in Beirut. He looked me in the face as had the man with the hoe and said, "No, you're wrong." Jimmy said that Jewish immigrants were taking away the land of Palestinian Arabs. During the 1950s I unexpectedly had the opportunity to hear a lecture at the University of Michigan by Martin Buber. I recall a small, stocky man with a great white beard speaking to a vast assemblage of listeners. Like myself, Martin Buber believed in decentralized socialism: he had written a book entitled Paths in Utopia. My memory is that he advocated a bi-national state in which Jewish and Arab citizens might encounter one another as equals. Then there was a long period in which I was caught up in other things: helping to write the history of the American Revolution from the bottom up, opposing the Vietnam war and losing my career in history as a result, becoming a lawyer for rank-and-file workers. 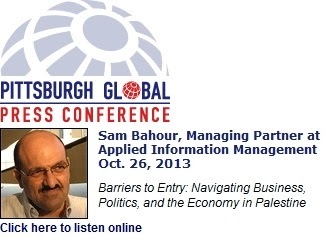 My wife and I renewed an interest in Palestinians and Israelis during Gulf War I. It happened that Passover, Easter, and Ramadan fell close together that year. An occasion was planned at the Arab-American community center. All participants were instructed to speak only of personal experiences. Professor Jules Lobel, our colleague in many legal battles, testified that his family on one side goes back to Jews who have lived in what is now Israel since the 18th century. The most dramatic narrative was by a young man whom I will call Mazin. He was in his early twenties, living in a refugee camp, when Israel invaded Lebanon in the early 1980s. The Israeli Army arrested all males between the ages of 16 and 60, and imprisoned them at a concentration camp known as Ansar. Mazin recalled that during interrogation, a bag was put over his head and Israeli soldiers urinated on him. 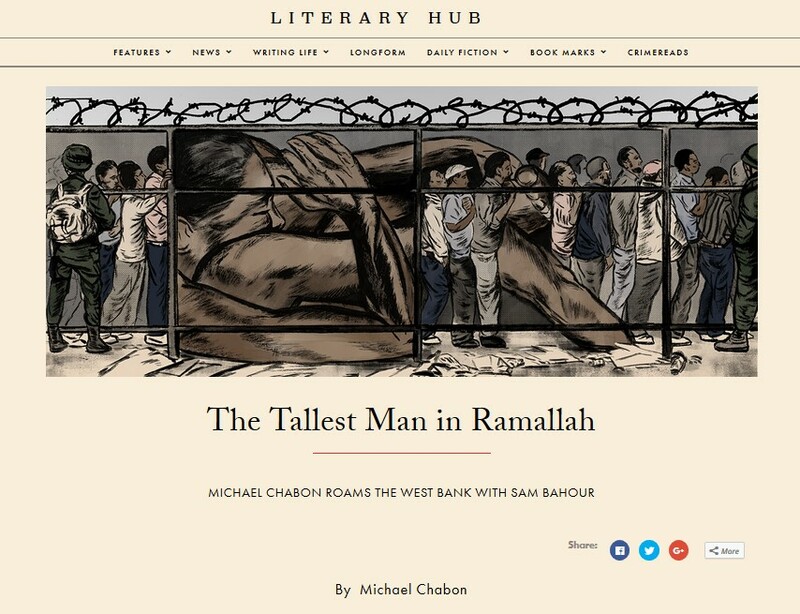 "When I lived in the [Ein El Hilweh] Camp, I never met a Jew, I never met an Israeli. The propaganda was that they were all killers. The first time they bombed the Camp, I was eleven years old. They destroyed a lot of houses. What would you expect me to feel about Israelis? I felt that they were killers, that they had taken our land, and so on. I never felt that they were human beings. When I went to prison, I met some Israelis. I changed my attitude. When we heard that an Israeli killed himself because he could not stand the situation and was very sympathetic with us, and when I met that friend [an Israeli sentry] -- he was really a very nice person! He was a human being! I started distinguishing between one person and another. Before, I had an attitude that came from living through all the hardship and shelling, living from one invasion to another, having our house completely destroyed by the Israelis. But violence breeds violence. I had some friends in Ansar who attacked Israelis after their release to get revenge. They are all dead now. . . . I would like to start a school for Palestinians and Jews so they could learn to love one another. We as a people have to make the change. Sometimes it hits me. Sometimes I cry. Why can't people live together? Who do we have to torture each other?" Mazin was not the only Palestinian Arab who spoke in this way. An old woman remembered how, before 1948, she would light the cooking fire for her Jewish neighbors on the Sabbath. A young lawyer said that his place was in Jerusalem "perhaps to be in peace together. That is the dream of everyone who believes in peace (Homeland, p. 305)." Not long ago I was a speaker at a rally in Youngstown, Ohio against the Iraq war. 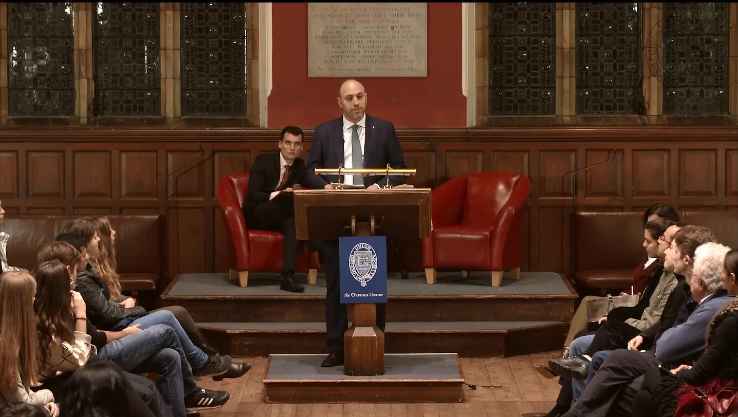 I said that I first heard of indefinite administrative detention, without criminal charges, when speaking to Palestinians who had been imprisoned by the State of Israel. The speaker after me was a Jewish representative to the Ohio legislature. He said I was an anti-Semite. No, I am not an anti-Semite. I consider that humanity owes many of its most exalted ideals to the experience of the Jewish people, including Jesus of Nazareth. I believe in the words that appeared above the stage of the school in New York City that I attended with my Jewish friends. 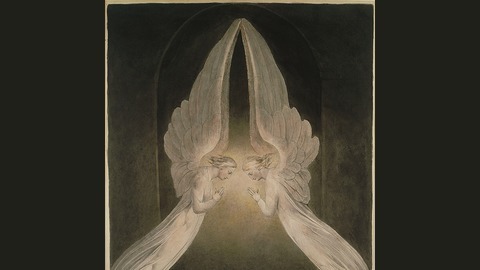 The words were, "The place where men meet to seek the highest is holy ground." Staughton Lynd has been a scholar-activist all his adult life. The director of the Freedom Schools in the 1964 Mississippi Summer Project, he also is the author of a number of books, including Intellectual Origins of American Radicalism and Living Inside Our Hope: A Steadfast Radical's Thoughts on Rebuilding the Movement. His most recent books are The New Rank and File, edited with Alice Lynd, and Lucasville: The Untold Story of a Prison Uprising. 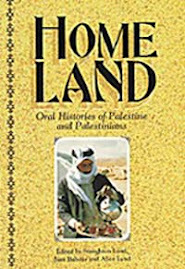 He is a co-author, together with Ramallah resident Sam Bahour, of Homeland: Oral Histories of Palestine and Palestinians. No comment needed here...you may remember when I first posted this story when it happen. This officer's peers, soldiers there when he murdered poor Iman, turned him in...but the state found him free. If anyone has forgotten this beautiful girl, her picture is attatched! A Givati Brigade officer will receive NIS 80,000 in compensation from the state after he was cleared of all charges in relating to the death of 13-year-old Palestinian girl, Iman Al Hamas, in the much-publicized "confirmed kill" affair. Captain "R" will receive NIS 80,000 in compensation from the state in addition to reimbursement for NIS 2,000 of legal expenses, as part of an arrangement reached between his lawyers and the military prosecution. The agreement was made official Wednesday in the Israel Defense Forces's Southern Command court. The officer, who at the time of the incident was serving as a company commander in the Givati infantry brigade's Shaked battalion, has since been promoted to major, and is currently serving as an operations officer in the brigade. The judges who acquitted Captain R accepted his version of event, in which he stated that the shots that he fired were not aimed directly at the girl's body. Captain R told the court he opened fire in order to create a deterrence, and that he believed that the young girl posed a serious threat. The judges also criticized the Military Police's investigation of the case, which was based upon a poor transcription of recorded evidence and upon the testimonies of disgruntled soldiers serving under Captain R.
[ePalestine] 40% favor Arab emigration / Too Hot for New York / Palestine Chronicle in Print / WATER Please! A few items of interest. If the first, regarding emigration, is not ugly racism in its rawest form, then someone please tell what racism is! The last item on H2O is extremely important too. Sixty-three percent of Jews in Israel view Israeli Arabs as both a demographic threat and a security hazard, results published Wednesday in a survey conducted at the Geocartography Institute showed. 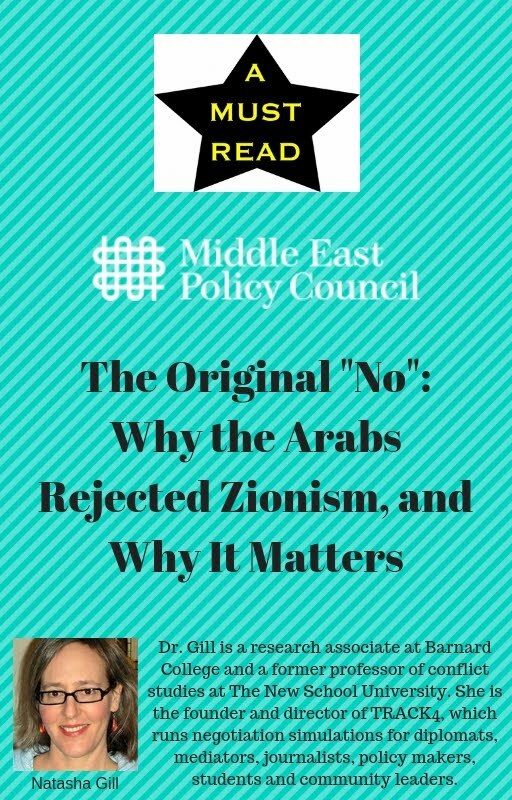 Some 70% of those asked said that they would refuse to live in Arab neighborhoods, while 40% believed that Israel needed to encourage the emigration of its Arab citizens. An identical percentage expressed its support for separation between Jews and Arabs in places of recreation. The Israeli Arab Monitoring Committee reacted to the findings with fury. "The existing racist culture in Israel is a direct result of Israel being the only country in the world that defines itself by ethnic separation," a spokesman for the committee said. 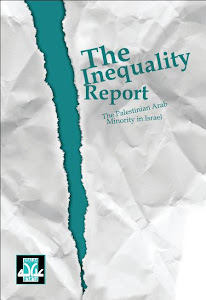 Shuli Dichter, co-director of 'Sikkuy' (chance), a joint Israeli Jewish and Arab organization working for equality, claimed that the Jews in Israel needed to begin a process of education. "It is up to the Education Ministry and the government to assume a central role in this process," Dichter concluded. "I can't cool boiling waters in Russia. I can't be Picasso. I can't be Jesus. I can't save the planet single-handedly. I can wash dishes." 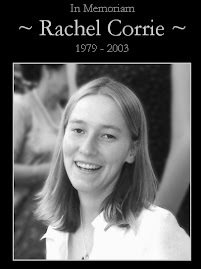 The book is the play My Name Is Rachel Corrie. Composed from the journal entries and e- mails of the 23-year-old from Washington State who was crushed to death in Gaza three years ago under a bulldozer operated by the Israeli army, the play had two successful runs in London last year and then became a cause celebre after a progressive New York theater company decided to postpone its American premiere indefinitely out of concern for the sensitivities of (unnamed) Jewish groups unsettled by Hamas's victory in the Palestinian elections. Seven years after its inception, we are pleased to announce that the Palestine Chronicle will now be available in a monthly print edition. Its first issue will be available in June 2006. The decision to start a print edition was the result of several factors including countless emails, which were sent over the years requesting such a publication. But the primary factor for making this idea a reality was to further reach out to our target audience, which consists of readers of mainstream media as a primary and sole source of news and information. 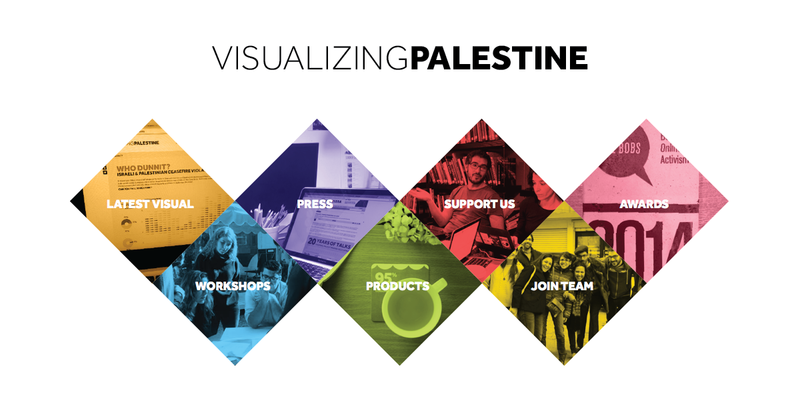 You can also help in this valuable effort by forwarding this message to as many people as possible to get the word out that one of the first progressive Palestinian publications will be launched early this summer. Contact local bookstores and request that they stock The Palestine Chronicle print edition on their shelves, ask your local library to subscribe. There are a number of things you can do to help in this effort. But without your support, this vision cannot become a reality. Israel's vast separation barrier slices Nazlet Isa off from one of the richest water sources in the arid northern West Bank where the fight for water is a fight for survival. Israel is believed to monopolize around 75 percent of Palestinian water resources in a region where rainfall is infrequent and water a strategic asset. In the agriculture-dependent Palestinian territories, hemmed in by Jewish settlements, the lack of resources causes havoc for farmers, while pollution and inadequate waste disposal create manifold sanitation and health problems. In the northern West Bank town of Nazlet Isa, giant concrete slabs 10 metres (33 feet) high -- lambasted as an apartheid wall by the Palestinians -- have left six homes stranded on the Israeli side along with the rich underground aquifer. A special system of pipes to access the water was finally built with Israeli permission but immediate access and control has passed into other hands. "The route of the wall matches that of water resources, the latter being conveniently located on the Israeli side," said Elisabeth Sime, director of aid organisation CARE International, in the Gaza Strip and West Bank. The Palestinians are adamant that the wall -- which they see anyway as a land grab designed to delimit the borders of their promised future state -- was built deliberately to siphon off the aquifer. Israel says it was built for security reasons to prevent suicide bombers infiltrating Israel or Jewish settlements. "With the wall, the Israelis clearly sought to commandeer water resources," charges Hind Khury, a former Palestinian cabinet minister responsible for Jerusalem and now the government's representative in Paris. "Without water, there is no life. Israeli policy has always been to push Palestinians into the desert," he added. Abdul Rahman Tamimi, director of the non-governmental Palestinian Hydrology Group (PHG), said the coincidence of the route of the wall with the layout of the region's aquifers was no accident. "The wall cuts some communities off from their only source of water, prevents tanker trucks from getting around and puts up prices," he said. In Qalqilya, in the northern West Bank, around 20 wells, or 30 percent of the town's resources, were lost because of the wall, Tamimi says. While agriculture accounts for nearly a third of Palestinian gross domestic product, only five percent of Palestinian land is irrigated. On the other hand, 70 percent of Israeli and Jewish settlement land is watered, even if agriculture amounts to barely two percent of Israeli GDP. "The fact that Israel confiscates and overexploits water affects every sector of Palestinian economic life and causes problems for the chances of development in the region and therefore chances of peace," Tamimi said. More than 220 communities in the West Bank -- around 320,000 people -- are unconnected to mains water. Hundreds of thousands of Palestinians are therefore forced to buy water from trucks -- an expense many can ill afford -- to supplement local supplies that often fall woefully short of requirements. One such consumer is weather-beaten 76-year-old Nazmi Abdul Ghani. Clutching clumps of soil and turning to the heavens, the grandfather of 100 is desperate. "I can't go on like this. My land is parched and I'm ruined." One of the doyens of the northern West Bank village of Saida, he uses expensive water tankers to irrigate his tomatoes, onions and potatoes. "The Israelis stole our land and took our water," he rages. In the small town of Attil, at least a third of the local drinking water is contaminated by sewage and pesticides. Nine-year-old Fatima, her eyes misted with fever, routinely falls sick. Waste and faeces from neighbouring houses run down the hill and seep through the floors and walls of Fatima's home. They slowly eat away at its foundations and emit a hideous stench. "I often get stomach ache. I throw up. It's the same for all the children here," she says looking feverishly at her mother Awa. 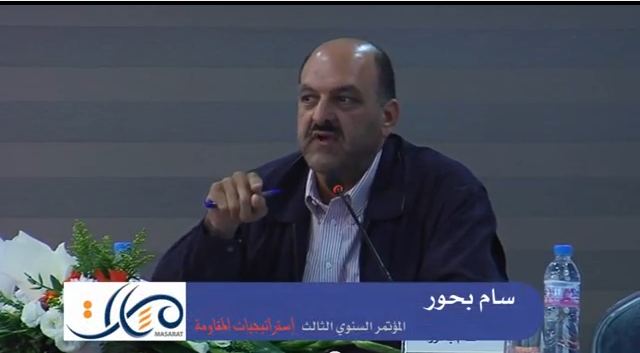 Doctor Hossam Madi says diarrhoea, gastroenteritis, fever, kidney failure, infection and dermatological problems blight most Palestinian children and persist into adulthood because of poor water supplies. "The quality of water is getting worse and worse," said CARE's Sime. "A high proportion of new-born babies die of water-born infections. In the long run, Israelis will be affected by the pollution of water in the Palestinian territories." In villages such as Jalbun, household, agricultural and industrial waste from Israeli settlements speed up the process of water pollution. Tamimi accuses some Israeli businessmen and settlers of dumping toxic waste on Palestinian land in an act of "environmental terrorism". Water supply problems faced by Palestinians are unfortunately typical of those hoping to be dealt with at the World Water Forum, which opened in Mexico City on Thursday. The March 16-22 forum hopes to help shape global strategy to improve distribution and eradicate waste of the precious resource that increasingly leads to conflict. As the new Hamas government is sworn into power in the Palestinian Authority, we might ask: What would bring a people, the most secular of Arab populations with little history of religious fundamentalism, to vote Hamas? Mere protest at Fatah ineffectualness in negotiations and internal corruption doesn't go far enough. While warning Hamas that their vote did not constitute a mandate for imposing an Iran-like theocracy on Palestine, the Palestinians took the only option left to a powerless people when all other avenues of redress have been closed to them: non-cooperation. Gandhi put it best: "How can one be compelled to accept slavery? I simply refuse to do the master's bidding. He may torture me, break my bones to atoms and even kill me. He will then have my dead body, not my obedience. Ultimately, therefore, it is I who am the victor and not he, for he has failed in getting me to do what he wanted done. 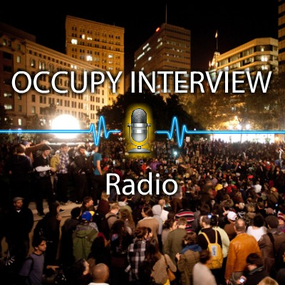 Non-cooperation is directed not against the Governors, but against the system they administer. The roots of non- cooperation lie not in hatred but in justice." Non-cooperation, perhaps the most powerful means of non-violent resistance, arises in situations when the oppressed have no other avenues to achieve their freedom and their rights. Since it is the international community, the US, Israel and, yes, Fatah, who have closed all avenues of redress to the Palestinians, they carry the "blame" for the rise of Hamas. It is to them that the message of the Palestinian electorate is aimed: "To hell with all of you!" To hell with the international community that closed off Palestinians' appeal to international law and human rights conventions. Had only the Fourth Geneva Convention been applied, Israel could never have constructed its Occupation in the first place. International law defines an occupation as a temporary military situation that can only be resolved through negotiations. Therefore an Occupying Power such as Israel is prohibited from taking any unilateral action that makes its control permanent. Besides its military bases, every single element of Israel's Occupation is patently illegal: settlements and the construction of a massive system of Israel-only highways that link the West Bank settlements to Israel proper; the extension of Israel's legal and planning system into occupied Palestinian areas; the plunder of Palestinian water and other resources for Israeli use; house demolitions and the expropriation of Palestinian lands; the intentional impoverishment of the local population; military attacks on civilian populations -- to name but a few. Even when Israel's construction of the "Separation Barrier" was ruled illegal by the International Court of Justice in the Hague and its ruling ratified by the General Assembly, nothing was done to stop it. To hell with the United States that closed off negotiations as an avenue for redressing Palestinian rights and for enabling Israel to make its Occupation permanent. At the very start of the Oslo "peace process," at Israel's urging, the US reclassified the Palestinian areas from "occupied" to "disputed," thus removing international law as the basis of negotiations and pulling the rug out from under the Palestinians. Had international law been respected, the Occupation would have ended under the weight of its own illegality. But once power became the only basis of negotiations, Israel easily overwhelmed the Palestinians. Until today Palestinians have nothing to look for in negotiations. With the Americans supporting Israeli unilateralism, with the US veto neutralizing the UN as an effective avenue of redress, and with European passivity, they have been cut adrift. To hell with Israel that has closed off even the possibility of a viable Palestinian state by expanding into Palestinian areas. The world ignored the Palestinians' "generous offer" to Israel: recognition within the 1967 borders in return for a Palestinian state in the Occupied Territories. Or in other words, an Israel on 78% of historic Palestine with the Palestinians - today a majority in the country - accepting a state only on 22%. 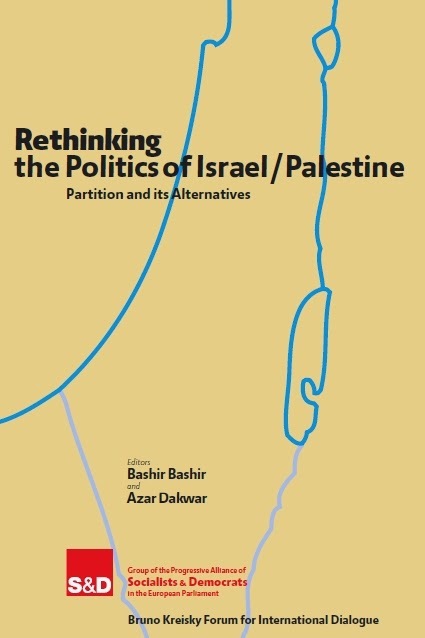 Israel is now posed, with American support and international complicity, to make its Occupation permanent and reduce the Palestinians to a prison-state truncated into five "cantons" all controlled by Israel. No borders, no freedom of movement, no water, no viable economy, no Jerusalem, no possibility of offering a hopeful future to the traumatized, brutalized, undereducated, unskilled, impoverished Palestinian youth. 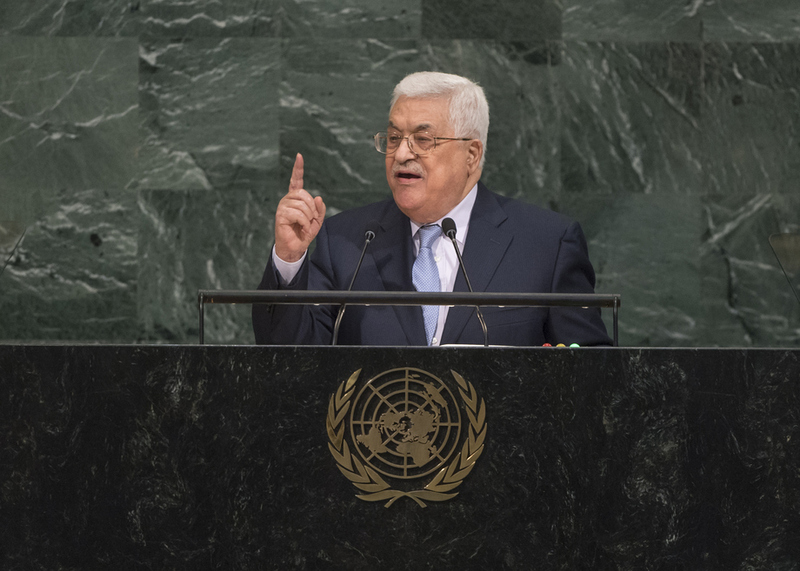 And to hell with Fatah that, in addition to enabling corruption, did not effectively pursue the Palestinians' national agenda of self-determination. The Palestinian Authority ran its affairs removed from the people, failing to provide material and moral support to victims of Israeli attacks and policies of house demolitions. Most Palestinians did not vote Hamas (only 44% did), so the door was not closed on Fatah which, most Palestinians seem to hope, will learn its lesson from this setback. Indeed, the vote for Hamas was not a closing of the door at all, but a rational, intentional and powerful statement of non-cooperation in a political process that is only leading to Palestinian imprisonment. Hamas, if anything, stands for steadfastness, sumud, the refusal to submit. This conflict is too destabilizing to the entire global system to let fester, the Palestinians are saying. You can all impose upon us an apartheid system, blame us for the violence while ignoring Israeli State Terror, pursue your programs of American Empire or your notions of a "clash of civilizations," we the Palestinians will not submit. We will not cooperate. We will not play your rigged game. In the end, for all your power, you will come to us to sue for peace. And then we will be ready for a just peace that respects the rights of all the peoples of the region, including the Israelis. But you will not beat us. As an Israeli Jew who sees how the Occupation has eroded the moral foundations of my society and, indeed, my entire people, and as a resident of Israel-Palestine who knows that my fate is intricately intertwined with that of the Palestinians, I pray that such an end will come sooner rather than later. "What is the idea of our moral superiority based on? Surely not on our behavior toward people in other parts of the world. Is it based on how well people in the United States live? The World Health Organization in 2000 ranked countries in terms of overall health performance, and the United States was thirty-seventh on the list, though it spends more per capita for health care than any other nation. One of five children in this, the richest country in the world, is born in poverty. There are more than forty countries that have better records on infant mortality. Cuba does better. And there is a sure sign of sickness in society when we lead the world in the number of people in prison—more than two million." Now that most Americans no longer believe in the war, now that they no longer trust Bush and his Administration, now that the evidence of deception has become overwhelming (so overwhelming that even the major media, always late, have begun to register indignation), we might ask: How come so many people were so easily fooled? One is in the dimension of time, that is, an absence of historical perspective. The other is in the dimension of space, that is, an inability to think outside the boundaries of nationalism. We are penned in by the arrogant idea that this country is the center of the universe, exceptionally virtuous, admirable, superior. But if we know some history, if we know how many times Presidents have made similar declarations to the country, and how they turned out to be lies, we will not be fooled. Although some of us may pride ourselves that we were never fooled, we still might accept as our civic duty the responsibility to buttress our fellow citizens against the mendacity of our high officials. We would remind whoever we can that President Polk lied to the nation about the reason for going to war with Mexico in 1846. It wasn’t that Mexico “shed American blood upon the American soil,” but that Polk, and the slave- owning aristocracy, coveted half of Mexico. We would point out that President McKinley lied in 1898 about the reason for invading Cuba, saying we wanted to liberate the Cubans from Spanish control, but the truth is that we really wanted Spain out of Cuba so that the island could be open to United Fruit and other American corporations. He also lied about the reasons for our war in the Philippines, claiming we only wanted to “civilize” the Filipinos, while the real reason was to own a valuable piece of real estate in the far Pacific, even if we had to kill hundreds of thousands of Filipinos to accomplish that. President Woodrow Wilson—so often characterized in our history books as an “idealist”—lied about the reasons for entering the First World War, saying it was a war to “make the world safe for democracy,” when it was really a war to make the world safe for the Western imperial powers. Everyone lied about Vietnam—Kennedy about the extent of our involvement, Johnson about the Gulf of Tonkin, Nixon about the secret bombing of Cambodia, all of them claiming it was to keep South Vietnam free of communism, but really wanting to keep South Vietnam as an American outpost at the edge of the Asian continent. Reagan lied about the invasion of Grenada, claiming falsely that it was a threat to the United States. The elder Bush lied about the invasion of Panama, leading to the death of thousands of ordinary citizens in that country. And he lied again about the reason for attacking Iraq in 1991—hardly to defend the integrity of Kuwait (can one imagine Bush heartstricken over Iraq’s taking of Kuwait? ), rather to assert U.S. power in the oil-rich Middle East. Given the overwhelming record of lies told to justify wars, how could anyone listening to the younger Bush believe him as he laid out the reasons for invading Iraq? Would we not instinctively rebel against the sacrifice of lives for oil? A careful reading of history might give us another safeguard against being deceived. It would make clear that there has always been, and is today, a profound conflict of interest between the government and the people of the United States. This thought startles most people, because it goes against everything we have been taught. We have been led to believe that, from the beginning, as our Founding Fathers put it in the Preamble to the Constitution, it was “we the people” who established the new government after the Revolution. When the eminent historian Charles Beard suggested, a hundred years ago, that the Constitution represented not the working people, not the slaves, but the slaveholders, the merchants, the bondholders, he became the object of an indignant editorial in The New York Times. Our culture demands, in its very language, that we accept a commonality of interest binding all of us to one another. We mustn’t talk about classes. Only Marxists do that, although James Madison, “Father of the Constitution,” said, thirty years before Marx was born that there was an inevitable conflict in society between those who had property and those who did not. Our present leaders are not so candid. They bombard us with phrases like “national interest,” “national security,” and “national defense” as if all of these concepts applied equally to all of us, colored or white, rich or poor, as if General Motors and Halliburton have the same interests as the rest of us, as if George Bush has the same interest as the young man or woman he sends to war. Surely, in the history of lies told to the population, this is the biggest lie. In the history of secrets, withheld from the American people, this is the biggest secret: that there are classes with different interests in this country. To ignore that—not to know that the history of our country is a history of slaveowner against slave, landlord against tenant, corporation against worker, rich against poor—is to render us helpless before all the lesser lies told to us by people in power. If we as citizens start out with an understanding that these people up there—the President, the Congress, the Supreme Court, all those institutions pretending to be “checks and balances”—do not have our interests at heart, we are on a course towards the truth. Not to know that is to make us helpless before determined liars. And then come the countless ceremonies, whether at the ballpark or elsewhere, where we are expected to stand and bow our heads during the singing of the “Star-Spangled Banner,” announcing that we are “the land of the free and the home of the brave.” There is also the unofficial national anthem “God Bless America,” and you are looked on with suspicion if you ask why we would expect God to single out this one nation—just 5 percent of the world’s population—for his or her blessing. If your starting point for evaluating the world around you is the firm belief that this nation is somehow endowed by Providence with unique qualities that make it morally superior to every other nation on Earth, then you are not likely to question the President when he says we are sending our troops here or there, or bombing this or that, in order to spread our values—democracy, liberty, and let’s not forget free enterprise—to some God-forsaken (literally) place in the world. It becomes necessary then, if we are going to protect ourselves and our fellow citizens against policies that will be disastrous not only for other people but for Americans too, that we face some facts that disturb the idea of a uniquely virtuous nation. These facts are embarrassing, but must be faced if we are to be honest. We must face our long history of ethnic cleansing, in which millions of Indians were driven off their land by means of massacres and forced evacuations. And our long history, still not behind us, of slavery, segregation, and racism. We must face our record of imperial conquest, in the Caribbean and in the Pacific, our shameful wars against small countries a tenth our size: Vietnam, Grenada, Panama, Afghanistan, Iraq. And the lingering memory of Hiroshima and Nagasaki. It is not a history of which we can be proud. What is the idea of our moral superiority based on? Surely not on our behavior toward people in other parts of the world. Is it based on how well people in the United States live? The World Health Organization in 2000 ranked countries in terms of overall health performance, and the United States was thirty-seventh on the list, though it spends more per capita for health care than any other nation. One of five children in this, the richest country in the world, is born in poverty. There are more than forty countries that have better records on infant mortality. Cuba does better. And there is a sure sign of sickness in society when we lead the world in the number of people in prison—more than two million. A more honest estimate of ourselves as a nation would prepare us all for the next barrage of lies that will accompany the next proposal to inflict our power on some other part of the world. It might also inspire us to create a different history for ourselves, by taking our country away from the liars and killers who govern it, and by rejecting nationalist arrogance, so that we can join the rest of the human race in the common cause of peace and justice. 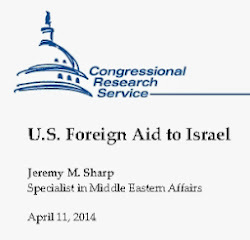 [ePalestine] The Israel Lobby - A MUST READ!